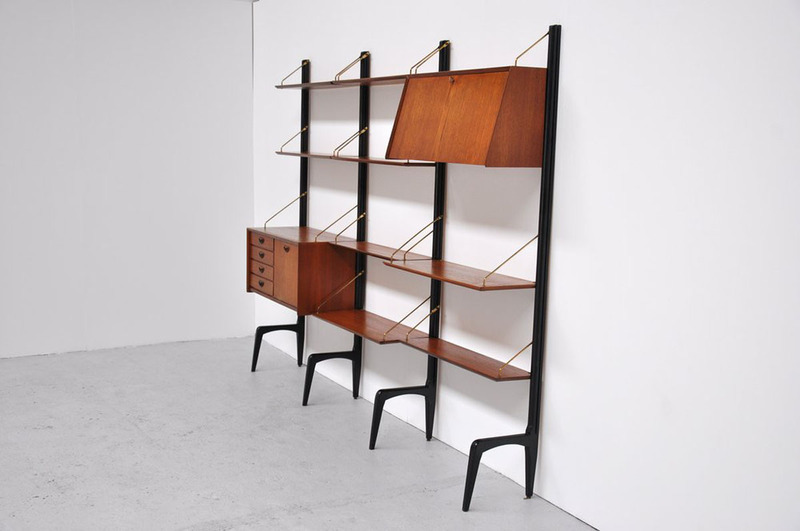 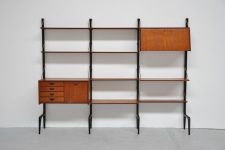 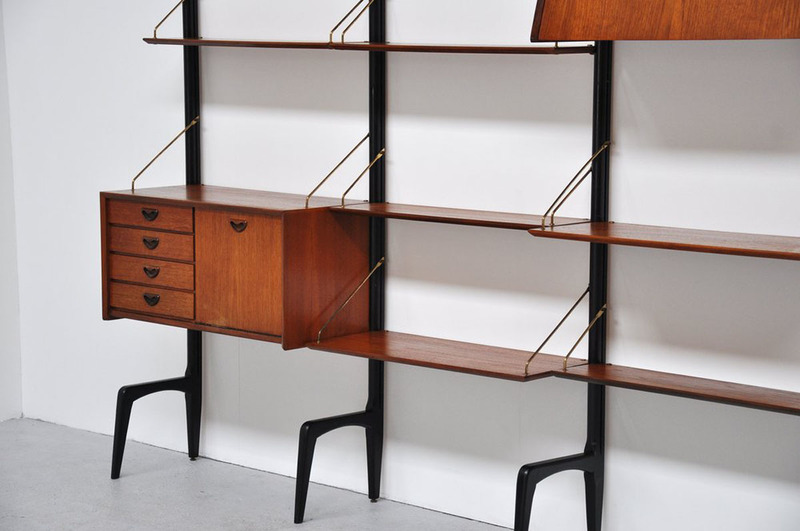 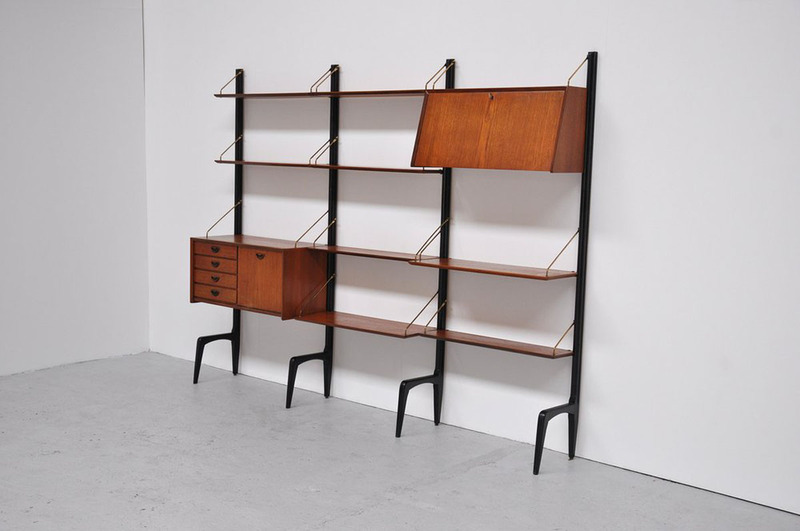 Very nice free standing wall unit designed by Louis van Teeffelen for Webe ca 1960. This super shaped, Danish organic inspired wall unit has black ant shaped feet and teak shelves and cabinets. 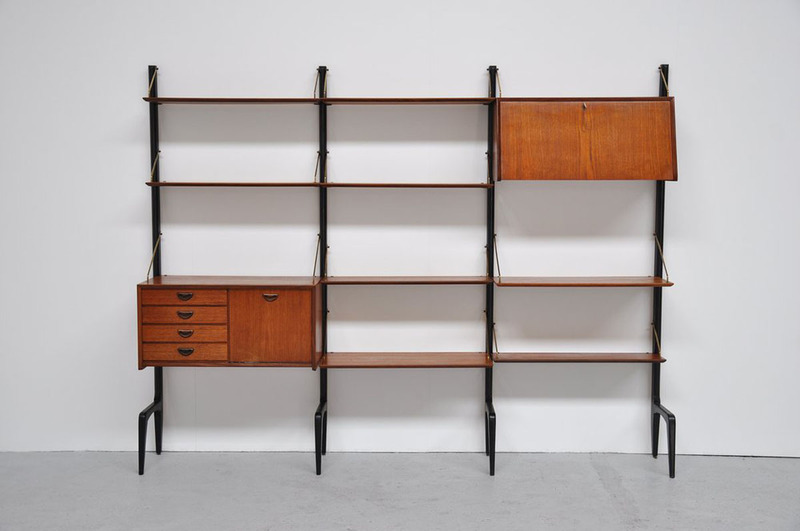 This unit is in very good original condition and still has its warm teak color. 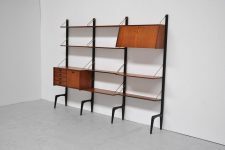 Complete with deep and normal shelves and with 2 cabinets. 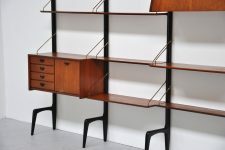 Super shaped complete unit!